Caffeine in food, beverages or medications will rev up the nervous system. 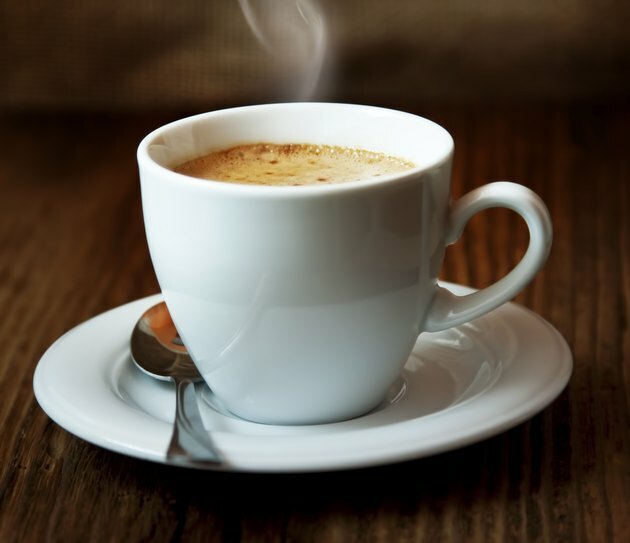 For those with certain conditions such as anxiety, caffeine may be contraindicated with or without taking pain medications. Yet caffeine can help with migraines and drowsiness. The key is to know how much caffeine you are consuming, where it is coming from and how it interacts with your prescriptions. Check with your doctor about caffeine and your medicines. Caffeine leads to feelings of alertness. But it can also go beyond alertness to jitters, insomnia and anxiety. Some of it depends upon how much caffeine you consume or whether you are more sensitive to its effects. Less than 300 mg of caffeine per day is recommended. Caffeine is a diuretic, flushing fluids from your body. According to Testcountry.org, caffeine's side effects can include worsened premenstrual syndrome, panic attacks, dehydration, addiction and emotional exhaustion. Average caffeine content is 95 to 200 mg for an 8 oz. cup of brewed coffee, 40 to 120 mg for an 8 oz. cup of tea, and 23 to 54 mg for a 12 oz. soft drink. Extra-strength Excedrin contains 65 mg of caffeine. Fioricet and Norgesic are pain medications that also contain caffeine. Cold medicines and diet pills have caffeine. Be aware how much caffeine you are consuming while taking any type of pain medication. Vicodin is a drug prescribed for pain. It could be prescribed postsurgery, for back and neck pain, or even after extensive dental work. According to Drugs.com, combining caffeine with Vicodin might reduce Vicodin’s effectiveness. Keep in mind that some pain-relieving over-the-counter medicines such as Anacin contain caffeine, too. For tension headaches, you might be prescribed a pain medication that contains caffeine and codeine together. Yet the longer you take this medication, the more likely it might cause rebound headaches, according to the New England Center for Headache’s website. Percocet is a combination of oxycodone and acetaminophen prescribed for moderate to severe pain. According to Drugs.com, there are no known interactions between caffeine and Percocet. Depending upon which pain prescription you are taking, caffeine might make it less effective. In particular, caffeine could interfere with Vicodin's effectiveness. Combining drugs of any kind can cause unwanted effects or make it more difficult to determine which symptoms are from which drug. But, in general, caffeine does not interfere with pain prescriptions. Check with your doctor if you have questions.